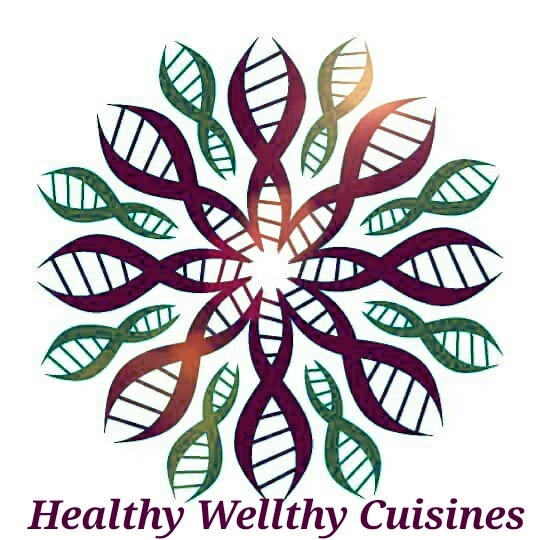 Now-a-days, where everything has been modified and changed, the written recipes which are the fundamental bedrock of how we cook and share food is also undergoing its own makeover. There was a time when a simple cake recipe was learned at a grandmother’s elbow, noted down on a worn recipe card or in a book with stained pages. It was simply a straight forward content as ingredients, instructions and maybe a tip or two. But now like media and music, the recipes are being stretched and shattered, its conventions challenged by a generation that learned to cook from television chefs and YouTube videos, cookbooks etc. Like all other home cooks, food bloggers I too have a collections of lots of cookbook. But many times, those are only showcased in my bookshelves, I am actually a fond of collecting books ;) . This time, means today is Monday. 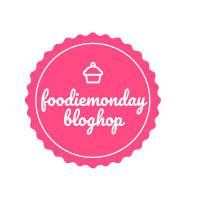 And as you all know, I am contributing for Foodie Monday Blog Hop where a theme is selected to post on every Monday. Well, the #135th theme is decided as 'Cook from a CookBook'. 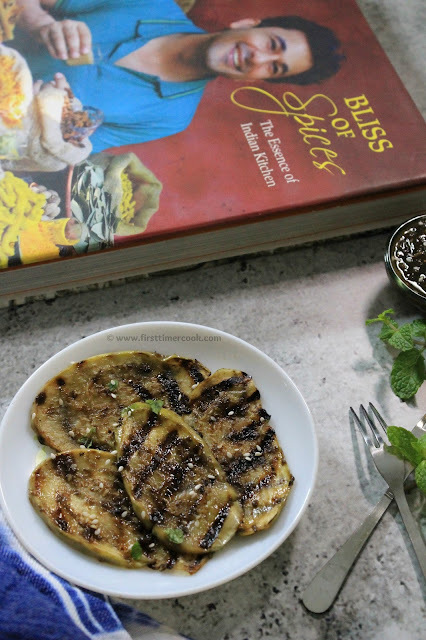 Hence I have selected a sweet and sour appetizer using eggplant as Grilled Eggplant with Tamarind Glaze from "Bliss of Spices by VIKAS KHANNA". The actual recipe in that book is mentioning to involve the baking procedure. But instead of baking and the layering the eggplants, I just modified a bit. The tamarind has a sweet and sour taste which makes a great combination specifically with roasted cumin seeds. The method of preparation is so simple but yields an amazing flavor to the simple eggplant slices. 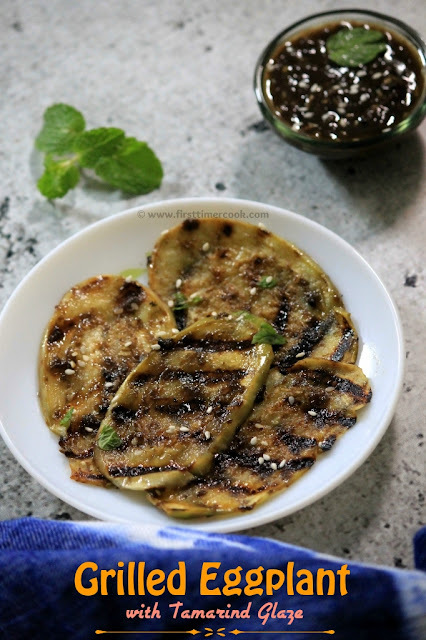 Just slices the eggplant into around 1/3rd inch slices lengthwise, brush these slices with tamarind glaze (a mixture of tamarind pulp, brown sugar and some spices) and finally grill to get the mouthwatering sweet and sour appetizer. This dish is completely vegan and gluten-free. Also these grilled eggplants with tamarind glaze'll be a great appetizer in party or as a special starter of any meal. So do try this Grilled Eggplant with Tamarind Glaze and give your valuable feedback either in the comment box below or tag me as #firsttimercook on Instagram. In a small bowl, take tamarind pulp, nigella seeds, sesame seeds, brown sugar, cumin seeds and water. Mix everything well till the sugar dissolves using a spoon and keep aside. Now wash and clean the eggplants. Cut into thin slices (about 1/3rd inch thick) lengthwise. Brush oil on both side of eggplant slices and sprinkle a little of pepper powder and salt. Heat the grill pan over medium heat. Brush the slices with the tamarind mixture. Place those eggplant slices on the hot grill pan, grill for 4-5 minutes or until golden brown and slightly charred. Flip the slices and let grill other side for 3-4 minutes. Turn off heat and transfer to a serving platter. Brush with some more tamarind mixture slightly. Sprinkle some freshly chopped coriander leaves and serve these grilled eggplant with tamarind glaze hot immediately ! These can be roasted in oven instead of grilled over pan. Add more or less water to adjust the tamarind mixture consistency as desired. Use jaggery powder in place of brown sugar if not available. They look delicious. Tamarind and Eggplant a different way of cooking. Loved it. Look really tasty. Will have to try this recipe. Eggplant looks amazing. A new version of begun bhaja. Loved it. I would love to try. 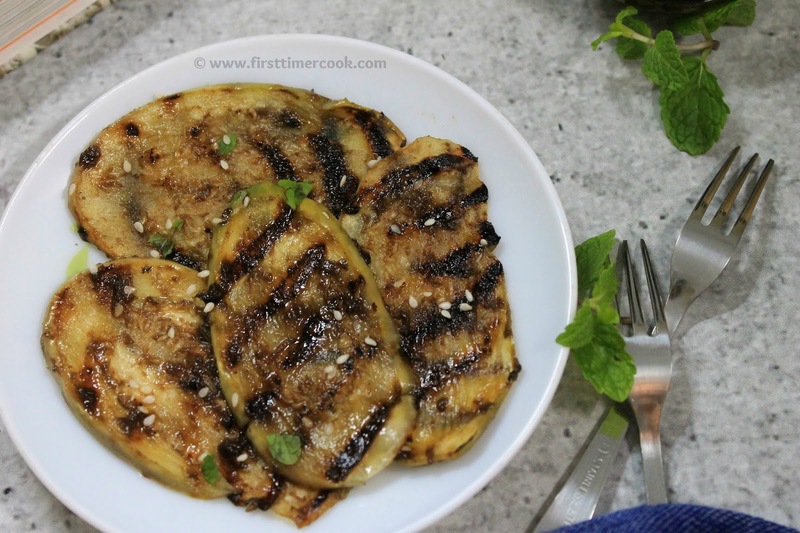 The grilled eggplant with tamarind glaze sounds so flavorful Sasmita ! Sasmita, you're so right, before we learnt cooking by watching our mums, grandmothers, aunts etc and jotting down recipes and tips. I learnt many recipes in that manner from my mother in law. Nowadays recipes on blogs and other sites are more famous. However, still love opening a book and following the recipe as unlike following blog recipes, book recipes most of the time turn out perfect, whereas blog recipes are like a hit and miss affair. Glazing the eggplant slices with a tamarind glaze is a brilliant way to enjoy the tasteless vegetable. Awesome share Sasmita. These are looking so eye catching. Will give you feedback after trying. Wow! That tamarind glaze sounds so amazing, would love to try it! I cannot wait to make this Sasmita! I like grilled eggplant and your tamarind glaze looks so yummy! Now am very tempted to make this ultimate grilled eggplants, and that tamarind glaze sounds fabulous to enjoy those grilled eggplants without any fuss. I will name your dish as " Baingan Beauties". Tamarind glaze is new to me . I must try . Looks amazing. I am sure my eggplant hating daughter will also love this grilled eggplant. Grilling eggplants with tamarind sauce is a nostalgic combination.. sounds delicious.. I LOVE eggplant in ALL shapes and forms. Your grilled eggplant with tamarind glaze looks and sounds absolutely delicious. I will definitely be making this soon. WE love eggplant. so definitely this would be so good to serve to my family. Sounds really interesting and what a fabulous combination.. Will try this for sure ! Here I can see some traditional touch and modern twist. Very creative and delicious recipe! 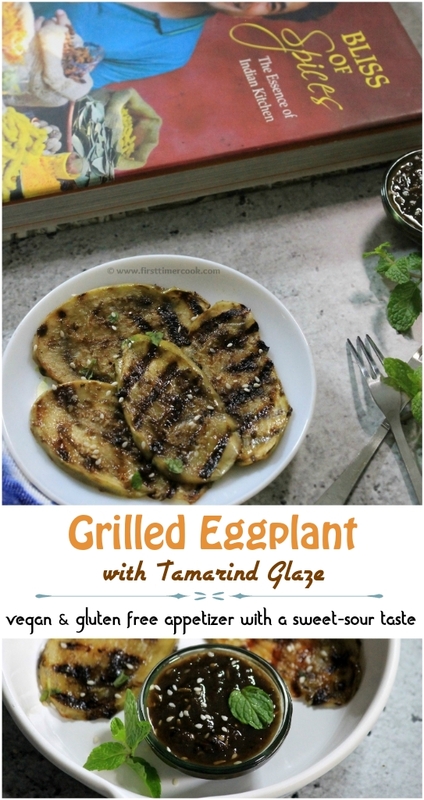 Grilled eggplant with tamrind glaze sounds innovative . Love the tangy flavour. Eggplant is my weakness and I can have it in any forms. This grilled eggplant looks absolutely delicious. wow wow wow....i am drooling here. i am an eggplant lover and alwasy looking for new recipes.. this is bookmarked to try.. This looks so yumm, love eggplant and do need to try this sometime Sasmita. Super cool. good use for my grill pan too. will try. Absolutely in love with the glaze. Tamarind being South Indian's weakness, I loved the fact that you used it as a glaze for flavouring the grilled eggplants, which by the way look stunning as well. An excellent way to please your guests at the dinner table, this dish would certainly be loved by all. Loved the theme btw, I agree, buying cookbooks is one thing and making something out of it is another. Haha. Thus grilled eggplant looks very inviting. I love eggplant and keep looking for new recipes. great share. Grilled eggplant with tamarind graze, this sounds new to me. I love eggplant, but never added tamarind to it.learned a new way to add this flavor to eggplant. 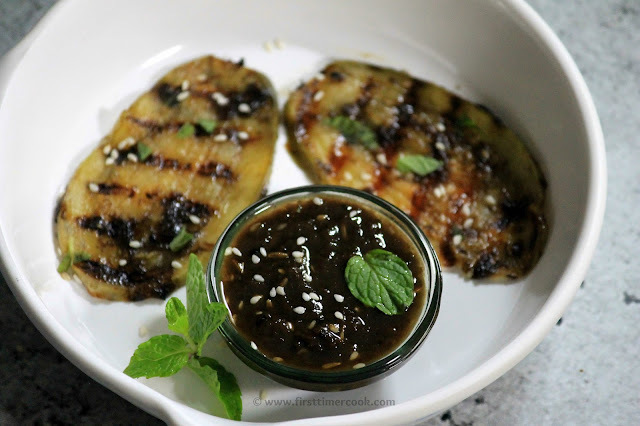 I have recently discovered the magic that is eggplant with tangy dressings and thus, have no problem imagining how delicious this grilled version with tamarind will taste! Looks and sounds fabulous!